Naruto Shippuden see’s the story behind Guy’s Youth as he faces many challenges to grow into who he is today. Guy learns of the Inner Gates Forbidden techniques which allowed him to now pass it on to Rock Lee and open Guy’s Eight Inner Gate of Death against Madara Uchiha, while releasing red vapors. Naruto Shippuden 419 begins as Guy ends up on a hospital as he got himself beat up. Dai explains to him what he means to be of youth, to have something you can always depend on, to have something that you can protect and win. It’s not if you win or lose, but to protect what you hold dear to you. Guy was just protecting his youth, Dai hugs him as they both cry. Hiruzen is looking for a third member to add to his list, to which he does with Guy and he gets accepted to the academy. They’re practicing clones, to which Kakashi is able to do it, while Guy can’t do it at all. He just gets laughed at. Guy begins his self rule to try and get 500 push ups, laps and so on. He goes even give up after seeing how hard Kakashi is also working. Guy works just as hard till he gets seen by Dai looking at Kakashi. Dai tells him that he should challenge him, while Guy tells Dai that he’d like to get 500 laps till he can challenge Kakashi. This time he goes on and beyond 500 of his challenge, Kakashi see’s him train. Guy gets a hair cut and gets to training again. He notices Kakashi training really hard after seeing Guy train too. Guy realises if he works just as hard, then he won’t be able to beat him. 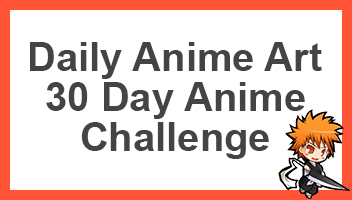 Guy challenges himself that if he gets 5000 laps, he’ll go on a challenge Kakashi, to which after lots of hard work, he does. It takes him a very long time, but he does in fact do it taking him a whole day and night. Kakashi and Guy both fight as Kakashi is better at using knifes and kunais while Guy is better on hand to hand combat. They even have a rock papers scissors contest. Guy goes on a bunch of missions while Dai goes on cat missions given by the Hokage. Guy see’s Dai walk out on him while he sleeps, doesn’t understand whats going on. Later on, Guy and his team see’s Dai begging not to lose his job after doing something bad, Guy cannot understand why he does such things. Kakashi later on tells him that he’s a cool dad. Dai meets with Guy later on at night to teach him the Eight Inner Gates, a forbidden technique developed by him over 20 years. He will teach him to get better. Now we see Guy vs Madara as he activates his Eight Inner Gate of Death. We remember when Dai appeared and saved everyone against the Seven Swordsman of the Mist. Guy opens his Eight Inner Gates of Death as red vapor pours out of him, Madara mentions that it looks like dead leaves in autumn which fall. While Guy clears it up by mentioning that dead leaves also work as nutrients for growing smaller trees, thus his efforts will help others. Guy unleashes his Sekizo, Evening Elephant! Naruto Shippuden 419 ends here. A fantastic episode, I thought something like this would be a little long but it builds up to a fantastic episode for next week’s Naruto Shippuden 420, titled “The Eight Inner Gates Formation”, when Guy will go on an all out war against Madara. Madara also gets happy to see someone like him who has such power who can go on par with Hashirama’s power.